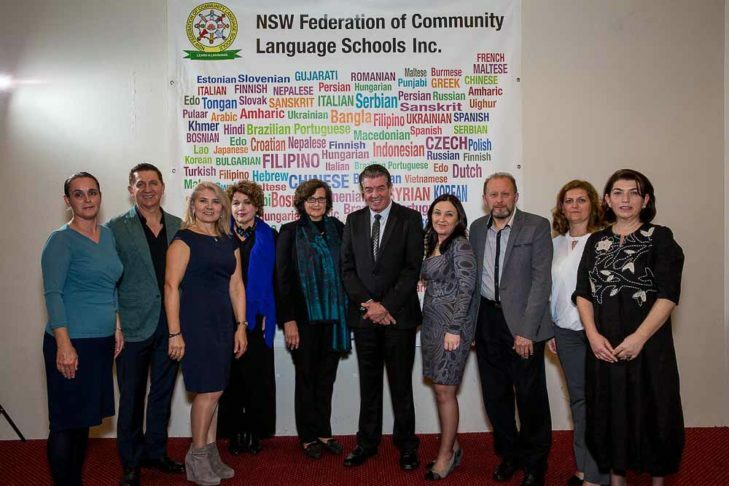 On Saturday, 20 May, 2017, an Annual Dinner ceremony was held in Sydney, organized by the NSW Federation of Community Language Schools. This event is held annually as a tradition to support the Australian policy of nurturing multiculturalism and to encourage the representatives of all ethnic communities in NSW to contribute, support and attract as many students as possible to attend evening classes in their native languages, as well as to nurture and preserve their Cultural heritage and identity. The ceremony was attended by the Prime Minister of NSW, the Hon. Gladys Berejiklian, as well as the Hon. Raymond Williams, Minister for Multiculturalism, and the Hon. Victor Dominello, Minister for Finance. 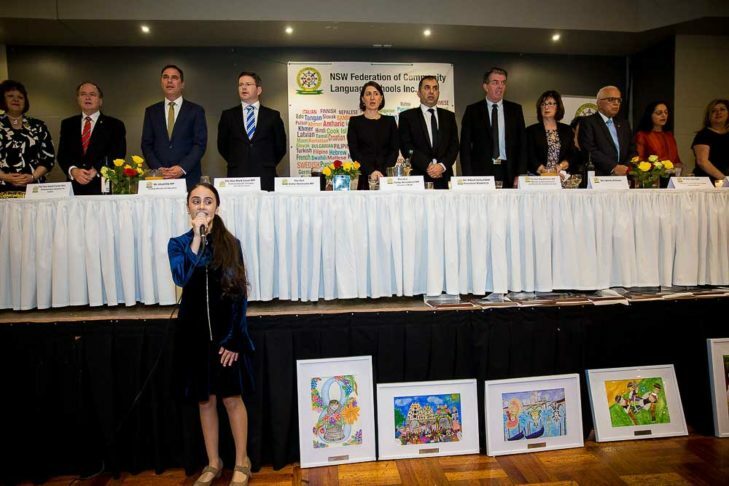 In addition to the aforementioned members of the NSW Government, MPs of the NSW Parliament, members of the Sydney Consular Corps, representatives of the Federation and members of ethnic and religious communities attended the event. Prime Minister The Hon. 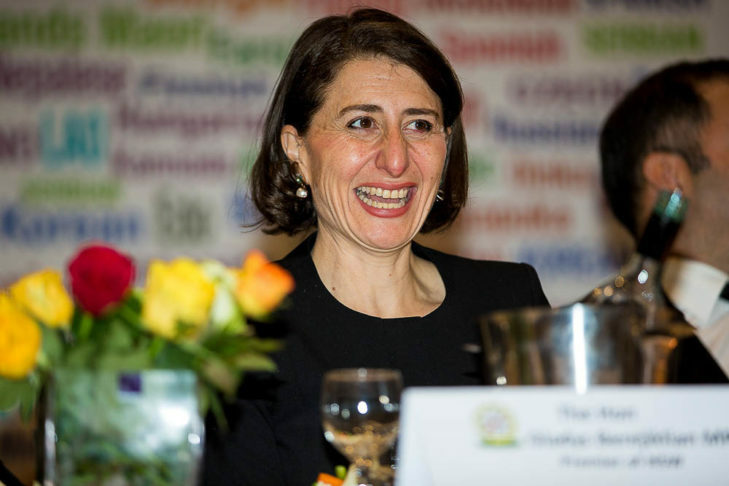 Gladys Berejiklian, in her speech in front of 500 guests, announced that the NSW Government will increase the funding for the NSW Community Language sector for the amount of $ 10.9 million in the next four years to finance and improve teaching in the Community Language schools. At the beginning of the ceremony the Australian anthem was sung by a well-known young artist of Serbian background, Violeta Bozanic, finalist of the “Australia’s Got Talent 2016” show. During the evening’s celebration, children of numerous communities performed dances and sung songs in their native languages. Students and teachers received special awards for their outstanding work. The Serbian community was represented by Consul Branislav Grbic, Father Sasa Colic, who attended on behalf of the Serbian Orthodox Church, as well as teachers and representatives of the Serbian schools under the auspices of the Metropolitanate of Australia and New Zealand of the Serbian Orthodox Church. Our sincere gratitude was conveyed to the Prime Minister The Hon. Gladys Berejiklian and the Government of NSW for their consistent support to the Serbian community in general, as well as for the announced financial boost, which will certainly also benefit the Serbian language schools. 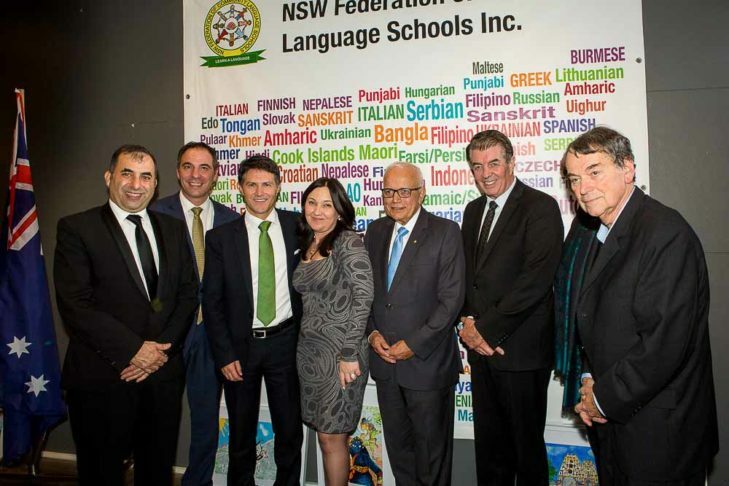 The Minister for Multiculturalism, Raymond Williams, welcomed our presence, while Albert Vela, President of the NSW Federation of Community Language Schools, expressed his satisfaction and expectations for the future fruitful cooperation with the representatives of the Serbian schools. The event was broadcast by the weekly "Serbia Voice" - report attached.